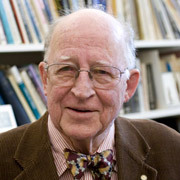 A review of Allan J. Pantuck’s latest article published at Biblical Archaeology Review, Solving the Mysterion of Morton Smith and the Secret Gospel of Mark. 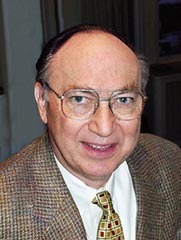 Allan Jonathan Pantuck, MD, MS, FACS. 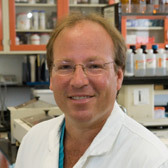 Associate Professor of Urology, David Geffen School of Medicine at UCLA. And so it finally came out. Having had the privilege of reading Allan Pantuck’s latest article in advance, I have been eagerly waiting for it to be published in Biblical Archaeology Review. Pantuck makes no great fuzz, but his arguments are very persuasive. The article is mainly a response to two of Francis Watson’s arguments in his article Beyond Suspicion: On the Authorship of the Mar Saba Letter and the Secret Gospel of Mark, JTS 61 (2010); and then the two arguments which Hershel Shanks “appears to have found most persuasive”. In the first part of the article, Pantuck deals with Watson’s assumption that Morton Smith made an idiosyncratic analysis of the Gospel of Mark in which he laid out arguments that according to Watson also was confirmed by Smith’s discovery of The Secret Gospel of Mark. In the second part Pantuck deals with the purported similarities between Smith’s discovery of Clement’s letter to Theodoros and the plot in James H. Hunter’s 1940-novel The Mystery of Mar Saba. 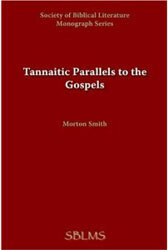 Further Pantuck deals with Smith’s view on the relation between the Gospel of Mark and the Gospel of John. Watson claims that Smith was of the opinion that parts from John and Mark 2:1–3:6 “may derive from a common source.” But according to Pantuck Smith instead showed in detail, that “they completely lack Johannine traits.” But after his discovery, Smith thought that there was a common Aramaic source behind the two gospels. In fact it was only in 1963, after three years of frequent discussions with Cyril Richardson, that Smith changed his understanding and came to the conclusion that there probably was a common source behind John and Mark. Both of these two examples show that Smith changed his opinion on fundamental issues due to his discovery, and such turning of the tide is far more persuasive in order to establish authenticity, than any number of superficial similarities between Smith’s prior views and his later interpretation of the Secret Gospel of Mark are to establish forgery. I guess that not many of today’s advocators of pro and con forgery, actually have read The Mystery of Mar Saba by Hunter. Perhaps if they did, not so many would argue that Smith used the novel as a template to forge the letter; both its content and the way it was discovered. Many things can be held against such a fanciful idea, although it seems to have persuaded among others Francis Watson, Stephen Carlson and Robert M. Price. But Pantuck tackles the problem from a different perspective. Instead of putting too much effort into dealing directly with the similarities which Watson has elaborated upon, Pantuck lists a few examples of extraordinary similarities in other areas which for certain have happened by chance. If such extraordinary similarities can occur by chance, why would we not be able to come up with some similarities also regarding Smith’s discovery – Pantuck seems to say. Pantuck gives a five examples. He compares Edgar Allan Poe’s The Narrative of Arthur Gordon Pym, in which there is a shipwreck and four survivors are stuck in a boat. After a few days of hunger they killed and ate a cabin boy named Richard Parker. And forty years later there was an actual shipwreck with only four survivors stranded in an open boat and eventually three from the crew did kill and eat a cabin boy named Richard Parker. Pantuck also finds another striking parallel to Smith’s discovery, but this time made by a certain Sophronius in the monastery of St. Catherine’s. 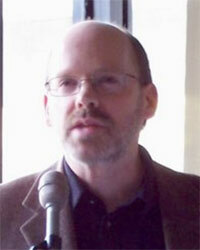 Pantuck says that the “parallels here are more substantial than those Watson proposes”. 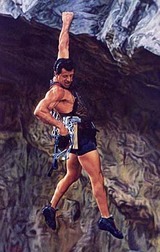 But since this discovery was made in 1975, Smith could not really have imitated the story. And no one has suggested that Sophronius imitated Smith. “What are the odds that I should discover in a seminary library a previously unknown letter of Clement Alexandre requesting permission to publish the writings of Morton Smith”? And the final example has to do with Pantuck searching the archives in order to find material regarding Morton Smith’s time at Brown University. He did for sure find a letter written by Morton Smith to the president of Brown University, but it was another Morton Smith, obviously “living in Providence, Rhode Island, at the same time”. I have never been impressed by these forced parallels, perhaps because I have read the book and really thought the similarities were superficial. But Pantuck has in my opinion hit the Hunter novel parallel paradigm and sunk the Titanic. The similarities between Smith’s discovery and James Hogg Hunter’s novel from 1940 are purely imaginary similarities. The purported similarity between The Clement letter and Hunter’s novel is based on mathematically flawed statistics. You need to take into account every other novel that has been written before 1958, because if you start by looking for a novel with a content that resembles the Clement letter and its discovery, the chance of finding one that shares some similarities rapidly increases with the number of books you put into the calculation. 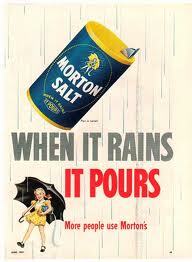 I believe Alan Pantuck has shown this beyond any doubt. If you’re allowed to use the whole world literature with its vast number of novels counted in hundreds of thousand or perhaps millions, the chance of finding a novel which at least superficially resembles the discovery of Clement’s letter to Theodoros seems to be fairly high. Further you have to take into account that both The Shred of Nicodemus (the text found in the novel) and Clement’s letter to Theodoros with extracts from the Secret Gospel of Mark are, and are relying upon, Gospel material, and therefore are bound to show similarities. 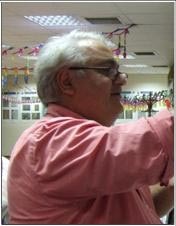 Further the purported similarity that both are forgeries made at Mar Saba is not to be dealt with in a statistical analysis, since the suggestion that Clement’s letter to Theodoros actually is a forgery cannot be part of any parallels when in fact this very issue is the thing that is proposed and therefore the object of the investigation. If that is put into the calculation, it will be part of a circular reasoning. The question we should ask ourselves is if we were to take any event in modern history and tried to find a novel written before that event with a content that resembles it, would we likely come up with a parallel? Francis Watson in the article, Beyond Suspicion: on the Authorship of the Mar Saba Letter and the Secret Gospel of Mark (JTS 61, 2010, 128-170), further elaborates on these purported similarities. After Francis Watson has summarized the plot of Hunter’s novel, he says: “Thus far, the parallel with Smith’s Mar Saba discovery is intriguing but inexact.” Yes, because the only real similarity he presents is the place of Mar Saba, where of course you could make a discovery of this magnitude and also a place you easily would chose in a novel for the same reason. And there is no similarity that both documents are forged (as he suggests), since we do not know that Clement’s letter to Theodoros is forged and as I said, one cannot simply assume that and use this as evidence when the actual issue is whether or not it is forged. If so it is a circular reasoning. 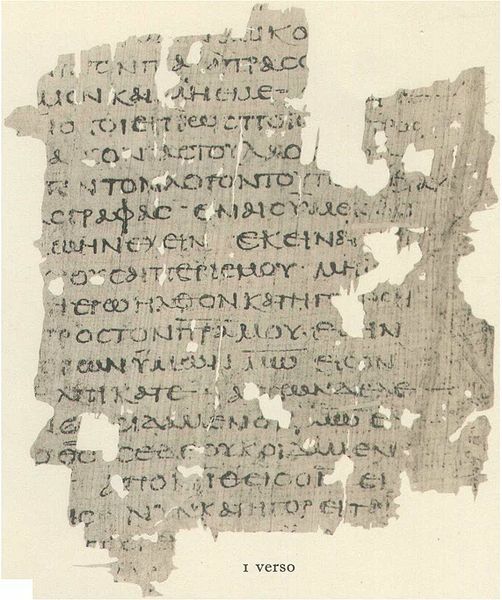 Francis Watson, professor of New Testament Exegesis at the University of Durham, has in an article from April this year, Beyond Suspicion: on the Authorship of the Mar Saba Letter and the Secret Gospel of Mark (JTS 61, 2010, 128-170), concluded that Clement’s letter to Theodoros “is manifestly pseudonymous” and that “it is clear that the author of this letter is Morton Smith”. Most of that which Watson deals with is old stuff, arguments presented by others before. In the Swedish blog post Är Klemensbrevet designat för att spegla Morton Smiths föreställningar? I examined Watson’s chapter on the letter in twentieth-century context, and his elaboration on Carlson’s ideas that Smith already held the same positions as those being presented in the letter. While R. E. Brown seems to have taken this to indicate an ancient pastiche forgery, Watson must believe that Morton Smith cut and pasted from mainly the Gospel of Mark in order to create the first Secret Mark passage within the Clement letter. Watson presents a chart on the parallels, and below I have elaborated on that chart. 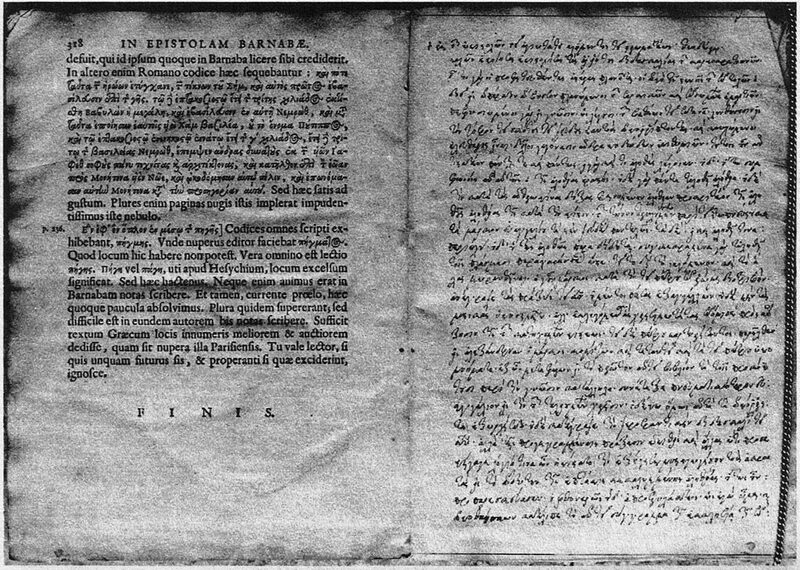 The examples presented in English are Watson’s own, and I have expanded upon them by including the Greek text and also underneath each example given more parallels from the Gospel of Mark; then in the first place not meant to be parallels to the sentences from Secret Mark, but parallels to the parallels presented by Watson. For quite a long time I have been unimpressed by the argument of a pastiche gospel. Not so much for finding parallels to the other gospels (which is a legitimate objection), but for finding parallels to the Gospel of Mark. How odd could it be that “Mark” is able to imitate himself? With that kind of reasoning, we would suspect that every time Mark uses a similar construction as one he has used before, that part is a later addition done by someone trying to imitate Mark. This is also the point I want to make by presenting more parallels. Having dealt quite a lot lately with the Testimonium Flavianum in Josephus’ Antiquities of the Jews, (see my Swedish treatise Jesuspassagerna hos Josefus – en fallstudie) one would then suspect all of the Testimonium to be a forgery, simply on the basis that almost everything can be paralleled in Josephus’ own writings. On the contrary, this fact is instead used to argue that the Testimonium is written by Josephus, as expressions like “about this time” or “wise man” are common to Josephus’ way of expressing himself. I have never heard anyone argue that simply because Josephus begins the next paragraph after the Testimonium with “and about this time” the beginning of the Testimonium is also a forgery. Why should we then believe this when it comes to the first Secret Mark passage? I will now examine each sentence one by one. 1) “And they come to Bethany” is almost exactly paralleled by Mark 8:22. But then it is exactly paralleled by Mark 10:46, 11:15 and 14:32, apart from the fact that they there are said to come to Jericho, Jerusalem and Gethsemane, respectively. And there is also an almost exact parallel in Mark 5:38, when they come to the house of the ruler of the synagogue. 2) “And there was there a woman“ is paralleled by “And there was there a man” in Mark 3:1. The three identical words are “καὶ ἦν ἐκεῖ”, which also are to be found in Mark 1:13, yet with a slightly different meaning. 3) ‘Son of David, have mercy on me!’ has a parallel in Mark 10:47, however with a slightly different wording. There is also a parallel to the next sentence in Mark 10:48 which by the way happens to be an exact parallel. 4) “And his disciples rebuked her” is paralleled by Mark 10:13: “And his disciples rebuked them.” The Greek is similar. But then there is a lot of rebuking, although not by the disciples as a group. Jesus, Peter and “many” are rebuking “him” respectively Peter. 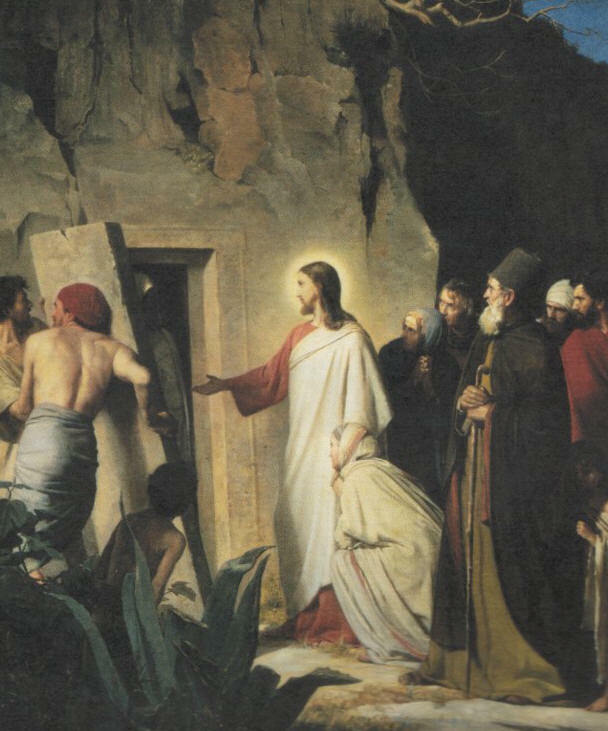 5) “And Jesus came and rolled away the stone from the door of the tomb”. Here Watson finds a parallel to the Gospel of Matthew, which of course is quite interesting: “And he came and rolled away the stone from the door of the tomb.” (Matt. 28:2). If there is a parallel to the Gospel of Matthew, “Mark” could not possibly have been influenced by it, since he wrote earlier. The Greek is close to identical between the two sentences, yet there is no “of the tomb” in the Greek of Matthew’s passage as Watson claims. Watson explains this by saying that “of the tomb” is “a minority reading”. On the other hand, the sentence in the Gospel of Mark which “Matthew” is relying on in fact has “of the tomb”. The slightly different inflection in the passage in Mark depends on the fact that the sentence is formulated as a question in Mark. It is therefore more likely that Mark again is imitating himself. 6) “He raised him, taking him by the hand” is paralleled by Mark 1:31: “He raised her, taking her by the hand.” There are five Greek words with almost similar inflection. There are also two other close parallels (though not as close as in 1:31, but then Watson got to chose his parallels first) in Mark 5:41 and 9:27, where Jesus takes people by their hands and asks them to rise. It is really just the order of the words that differs. 7) “looking at him he loved him” is paralleled by Mark 10:21. There are four identical Greek words. This has no other parallel in Mark, as Jesus or others are never elsewhere said to love another person. Nevertheless, the opening words “looking at him” is paralleled both in Mark 10:27 and Mark 14:67 with only a slightly different inflection. 8) “and began to beg him that he might be with him”. This is paralleled by Mark 5:18: “and begged him that he might be with him . . .”. The Greek is quite similar though the verb has a different conjugation. This is fairly closely paralleled in Mark 5:10 and to a lesser degree in Mark 5:17 and 8:22. 9) “for he was rich.” Here Watson turns to Luke 18:23 and the rich youth: “for he was very rich”. They share three identical words in Greek. There is no further parallel in Mark. Firstly can be said that in order to say that someone was rich, there is really not that many ways to express this. Secondly, in this passage Luke is dependant on Mark and the information that the youth was rich is therefore an addition made by Luke. Or is it? Could it be that the copy of Mark which Luke had access to, also said that the youth was rich? This is not entirely impossible, since there seems to be a close affinity between this “rich” youth and the rich youth being raised by Jesus in the Secret Mark passage. If so, Mark is again imitating himself. 10) “And after six days” is identically paralleled by Mark 9:2. No other parallels of six days exist. Yet there is one where it says “three days”: “and after three days” (Mark 8:31). 11) “And when it was evening [he] comes”. Three words in Greek are paralleled in Mark 14:17. The same three words are also paralleled in Mark 6:47 and in 15:42. 12) “dressed in a linen garment over his nakedness” is exactly paralleled in Mark 14:51. There are no other parallels in Mark. This really comes as no surprise as this is quite a specific subject. Mark 14:51 with the youth being torn off his linen garment is, as is the “rich” youth in Mark 10:17–22, often seen as the same youth being raised by Jesus in the Secret Mark passage. It would therefore come as no surprise if “Mark” used the same language in describing him. 13) “the mystery of the kingdom of God” is exactly paralleled by Mark 4:11, and by no other passage. But “the kingdom of God” occur on several occasions, and Mark 1:14 reads “the gospel of the kingdom of God“. Apart from μυστήριον being replaced by εὐαγγέλιον it reads exactly the same in Greek. 14) “And leaving there he returned to across-the-Jordan.” This is paralleled by Mark 10:1: “And leaving there he comes to the regions of Judea and across-the-Jordan”. This is the only other time Jesus is said to cross the Jordan, and the crossing of Jordan is therefore not paralleled anywhere else in Mark. But the rest is paralleled in Mark 7:24. In the end, all of this boils down to “Mark” imitating himself. Watson came first and got to choose the closest parallels, but the examples I have presented are not far off. I managed to find parallels to almost all of Watson’s parallels, whereas he only found parallels to the Secret Mark passage at a rate of 42% [66/157] or if I am being generous 53% [66/(157 – 32)]. As can be seen, the author of the Gospel of Mark is writing quite stereotyped and often expresses himself in a similar way, which of course might be explained by Greek not being his native language. Francis Watson claims that the fact that many expressions in the first Secret Mark passage can be paralleled in the Gospel of Mark shows that someone has produced the Secret Mark passage by combining passages from the Gospel of Mark and thereby has created a new text. In the name of consequence, this would mean that also every other parallel that is (to a great extent) found in Mark, would be additions made to the Gospel of Mark by a later imitator. I would say that the fact that the Secret Mark passage so much resembles other expressions found in the Gospel of Mark speaks for authenticity – not against authenticity!